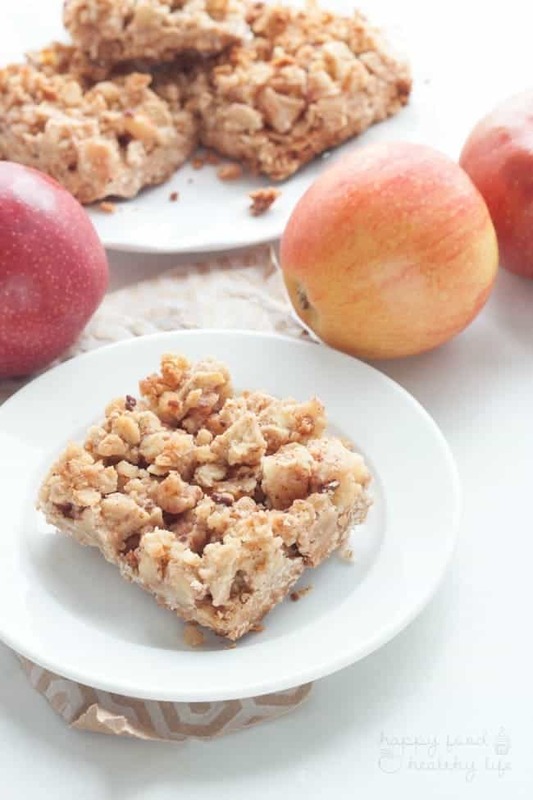 You know what I love the most about these HEALTHY APPLE PIE CRUMBLE BARS? They’re healthy enough for breakfast, but delicious enough for dessert! Don’t forget to save this recipe right in your browser for easy access later! I haven’t talked much about my roots here on the blog. Where I grew up. What my childhood was like. You know, all those little things that have shaped me into the person I am today. So I’ve decided to open a small window into my childhood. So, as you probably know, I’m currently living in Utah, but I haven’t always been here. In fact, I’ve ALMOST lived here as long as I lived in the midwest. Indiana to be exact. The reason this is important is because of autumn. It’s just not the same anymore. It is still my favorite, but in Utah, I have to admit, it’s quite dull! Let me explain. In my childhood neighborhood, there were trees everywhere. In fact, my home backed right up to a woodsy area with trees and adventures galore. And the whole neighborhood seemed to be surrounded by huge trees everywhere you went. So when the colors changed to bright orange and vivid red, it was like the entire neighborhood had been painted. In Utah – well, if you want to see the changing leaves, you have to drive up to the mountains to capture the beauty, which isn’t always that convenient. And what about jumping in the leaves?! In my Utah neighborhood, I imagine it would take the entire neighborhood to gather their leaf-fall in order to get a big enough pile of leaves to jump into. But that would only be possible if we got to the leaves before the HOA landscaping team cleaned them up. 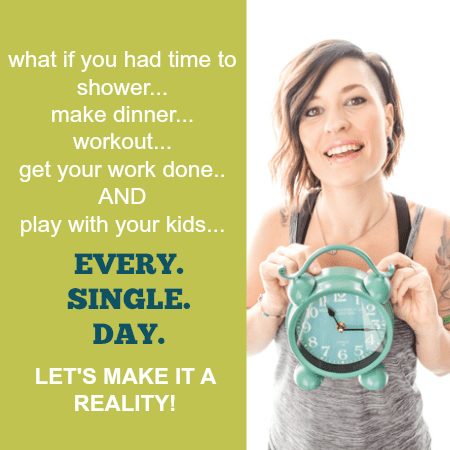 In my childhood home, we were able to gather enough leaves from our backyard to jump in all afternoon! Those were the days. The days my childhood was made up of. One memory I truly wish my son had a chance to experience is a field trip my school went on every year. A trip to a local apple orchard where we could pick apples, watch them being turned into applesauce, and eventually being pressed into fresh apple cider. The best apple cider I’ve ever had. I have done some hunting on the web, and there is just nothing like that here in Utah. Nothing with the same experience. Nothing as rustic, and natural, and autumn-like as what I grew up with. So instead, I do my best to bring my childhood memories to life with the recipes I make my family. I know it’s not the same. It doesn’t hold the same memories that my childhood in Indiana does. 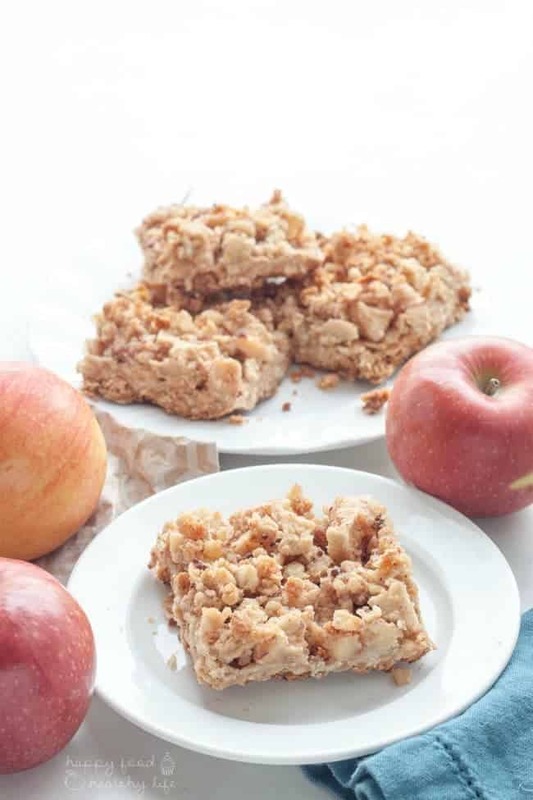 But treats like these Apple Crumble Breakfast Bars are made with the memories in my mind and heart, hoping some of it will leak out into the pan so that you can almost see yourself in an apple orchard as you take each bite. Healthy Enough for Breakfast. Yummy Enough for Dessert! 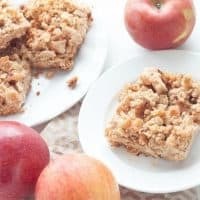 ALSO, in case you’re a visual learner, here’s a video for the Apple Crumble Bars to help you through it (and it’s just fun)! Preheat the oven to 375 degrees. Chop the cashews and almonds quite fine in a food processor. Mix with 1 cup whole wheat flour, oatmeal, baking powder, and salt. Stir well, then pour in 3/4 cup coconut oil over it and add 2 Tablespoons honey. In an 8x8 baking dish, greased with a thin layer of coconut oil, spread 3/4 of your crumble evenly over the bottom and press down firmly. Put the pan in the oven and bake for about 10-12 minutes, or until the top begins to brown. In the meantime peel and cut the apples into pieces. Put them in a bowl and mix with 2 Tablespoons honey, 2 Tablespoons flour, 2 Tablespoons coconut oil, cinnamon, and nutmeg. Remove the baking pan from the oven once browned and spread the apple mixture evenly over the bottom.Sprinkle the crumble that you have left over the top of the apples.Put the pan back in the oven and bake for 35-40 minutes until the top is nicely browned.If the top starts to brown too soon, you can cover the pan with aluminum foil. Then remove from the oven and let cool completely. 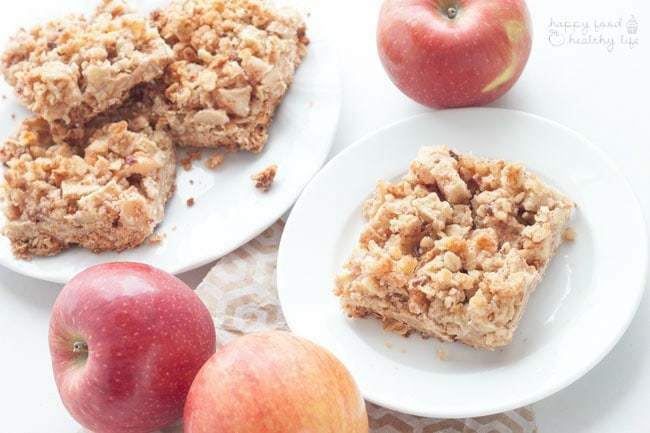 Then place pan in the refrigerator for a few hours to set completely before cutting into bars.Using a sharp knife, divide into 16 bars and store in an airtight container in the refrigerator. Thanks Lily! Totally delicious, yet incredibly healthy all at the same time.